Because of time and cost constraints, designers cannot build and test each of the many possible powertrain configurations for advanced vehicles. Thus, developing conventional, hybrid electric vehicles (HEVs), and Plug-in HEVs (PHEVs) requires accurate, flexible simulation tools. Based on more than a decade of experience acquired in developing PSAT (Powertrain System Analysis Toolkit) to assess the performance and fuel consumption benefits of advanced vehicles, ANL has developed the next generation of vehicle simulation tool in collaboration with General Motors. Autonomie has been developed to accelerate the development and introduction of advanced technologies through a Plug&Play architecture. Autonomie has been designed to be used as a single tool throughout the Vehicle Development Process by promoting reuse and exchange of models and supporting Model Based Design approaches. 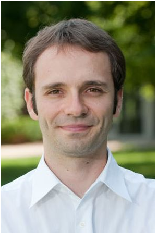 Dominik KARBOWSKI received a Master’s degree in Science and Executive Engineering with an option in Energy Systems from the Ecole des Mines de Paris / ParisTech, France, in 2006. Since he joined Argonne, Dominik has focused his research on vehicle control development of advanced vehicles using different approaches from rule based to instantaneous optimization and global optimization. Sylvain PAGERIT received a Master of Science in Industrial Engineering from the Ecole des Mines de Nantes, France, in 2000, as well as a Master of Science in Electrical Engineering from the Georgia Institute of Technology, Atlanta, in 2001. 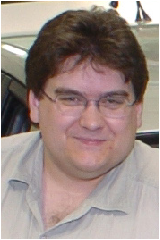 At Argonne, he focuses his work on the development of Autonomie and PSAT user interfaces, as well as automated optimization and sizing algorithms for advanced powertrains.